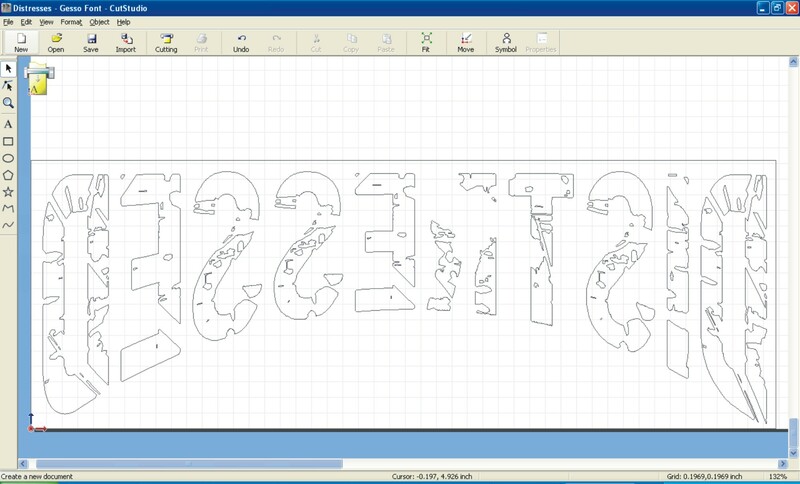 How much do you incorporate fashion into your vinyl cutter business? I covered in an earlier post some materials that can add some flair to your apparel. Another way to make your good more fashionable is to use the latest decorating trends. 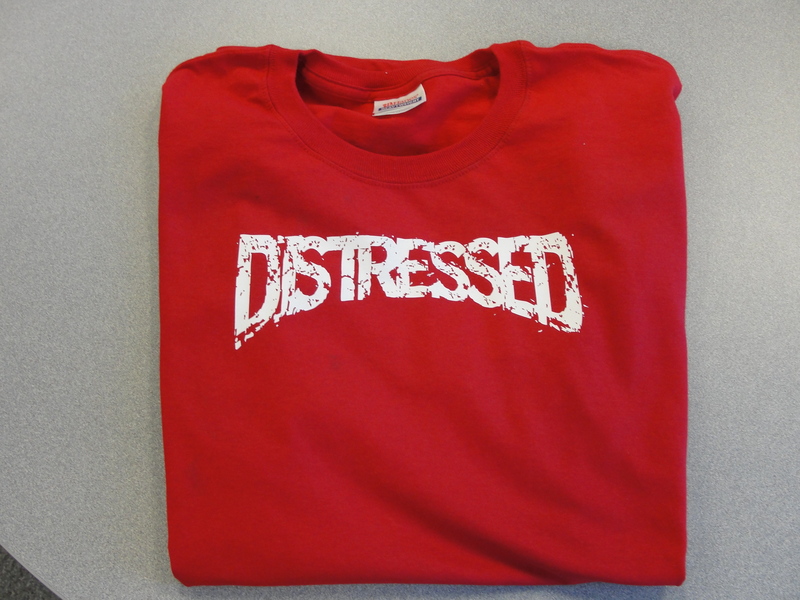 I’ve identified the Distressed look as a trend that has been around for a little while but is still very popular. 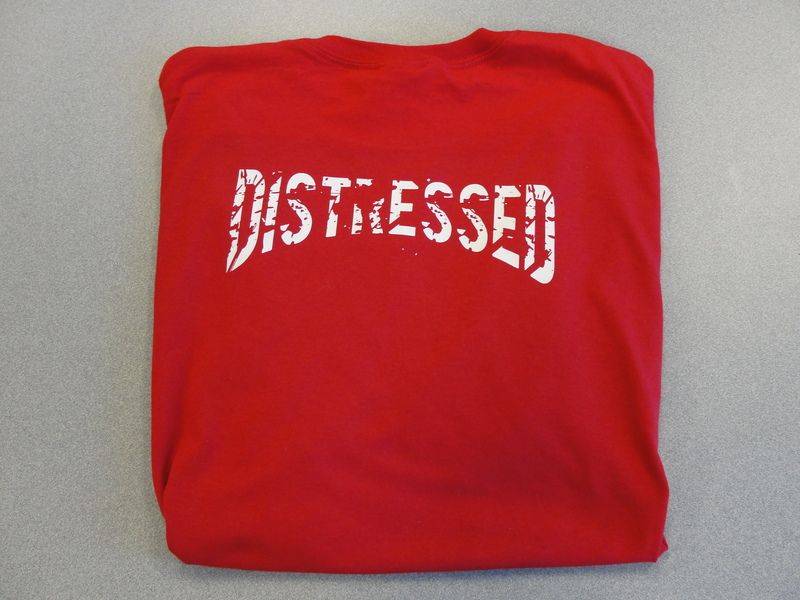 It may seem like the distressed look would be difficult but it’s really not when you use the right tools. I sourced two fonts that will make creating the artwork the easy part for a change! The best to use are Destroy and Gesso. I’ve selected these two because of the ease of weeding. There are plenty of distressed fonts available but not all will allow you to weed rather quickly. Of the two, Gesso is the easier to weed. Most of the lines and detail will be weeded out on the initial pull. Destroy has a bit more detail. Don’t get me wrong, it will take a little more time to weed this design! However, in my opinion, the end result is the best. The weeding process for the Gesso font took about a minute longer than it normally would. This should be factored into your pricing. Destroy took about 5 minutes longer. The good news is you don’t have to get all the detail! It’s distressed so if you leave a few spots behind that should have been weeded it actually adds to the look! 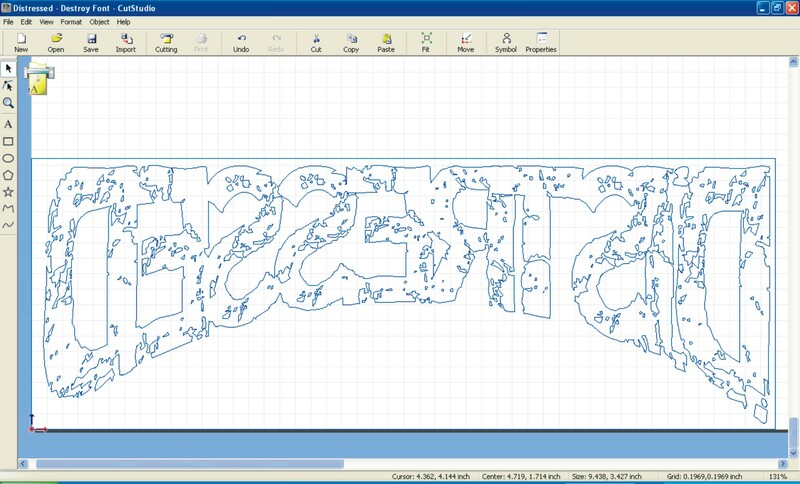 Simply adding a specific font to you design software can add a lot to you business! Great idea Adam! Where would I find those fonts? Is there a resource online where I can find them for free or are they a purchase only font? Thanks for the comment! Click the links in the text to get the fonts. The sites linked to are free! Great Job Adam, Wish I would have seen this earlier. But, late is better than never. Hello Deana! I sell the materials and equipment that allows you to produce the letters and numbers yourself, but I do not offer ready made transfers. Are you looking for the material or something ready to press? There are quite a few typos on your page, which doesn’t instill a lot of confidence. Just saying… It would go a long way if you would just proofread your page.